This saturday is the annual european night of museums, which means almost all museums here in Europe are free to enter, open late at night, and hold special events. Yay! If you're in Europe, don't miss it. 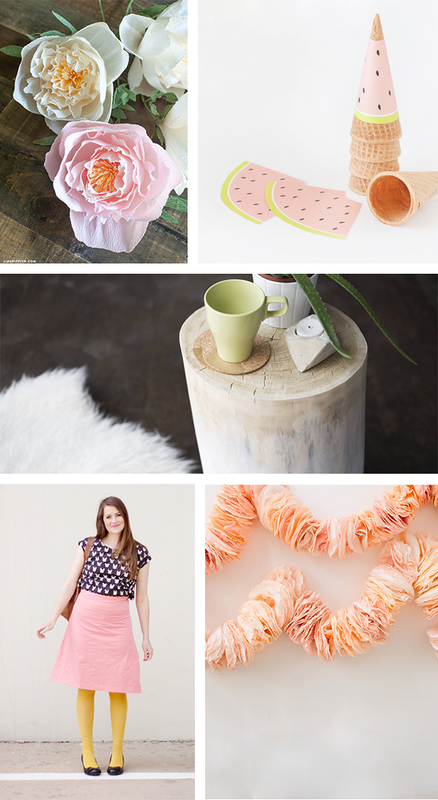 If your plans for the weekend involve some DIYing, here are my favorites from the week. Have a lovely weekend! I love the look of the flowers and the garland, so pretty, just a shame I wouldn't have anywhere to put them in my house! So paper writing center asks when, precisely, was this era when American education was great and everyone loved learning? Seems like people have been making the same complaints for decades. wow! nice post.very informational useful too.thank you so much for sharing this news with us.so that we got to know this news its very important that we know thesis writing service the details about the outside the area.its really interesting and informational post.thank you once again.